NO PURCHASE OR PAYMENT OF ANY KIND IS NECESSARY TO ENTER OR WIN. THIS PROMOTION IS IN NO WAY SPONSORED, ENDORSED, OR ADMINISTERED BY, OR ASSOCIATED WITH, TWITTER AND INSTAGRAM. VOID WHERE PROHIBITED. Eligibility. 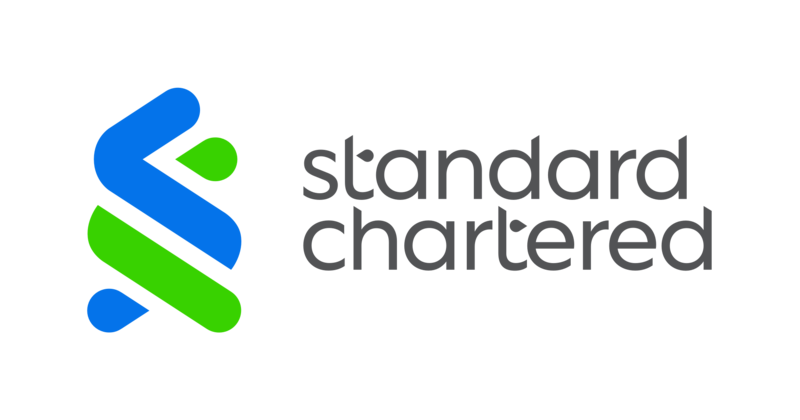 The Standard Chartered US – Liverpool Jersey Giveaway (the “Promotion”) is open only to legal residents of the fifty (50) United States and the District of Columbia who, at the time of entry, are thirteen (13) years of age or older. The Promotion is subject to all federal, state, and local laws and regulations and is void where prohibited by law. Sponsor. Standard Chartered Bank, 1095 Avenue of the Americas, New York, NY 10036. Agreement to Official Rules. Your participation in the Promotion or your use of the hashtag specified in Section 5, below, constitutes your full and unconditional agreement to these Official Rules and the decisions of Sponsor, which are final and binding. Winning a prize is contingent upon fulfilling all requirements set forth herein in a timely manner. Entry Period. The Promotion begins on July, 20, 2018 at 0000hrs EST (NY) and ends on July 28, 2018 at 0000hrs EST (NY) (the “Entry Period”). Entries received prior to or after the Entry Period will be disqualified. How to Enter. To enter, during the Entry Period, post on Twitter or Instagram a photo that best captures the sentiment “We are Liverpool @ U.S.” and include the hashtag #SCLFCgiveaway. Twitter and Instagram accounts are free. Multiple entrants are not permitted to share the same Twitter and Instagram account. Limit: One (1) entry per day of the Entry Period. Any attempt by an entrant to obtain more than the stated number of entries by using multiple or different Twitter and Instagram accounts or any other methods will void that entrant’s entries. Use of any automated system to enter is prohibited. Entries will not be acknowledged. Additional Requirements for Entries. Entries must be your own original work and must not: (a) contain any content that could be considered deceptive, misleading, false, fraudulent, scandalous, indecent, obscene, sexually explicit, defamatory, libelous, threatening, harassing, hateful, degrading, intimidating, graphically violent or otherwise unlawful, tortious or objectionable; (b) depict, encourage, promote or induce conduct that could violate any law or give rise to criminal or civil liability, or that could be considered risky, violent, discriminatory or otherwise inappropriate; (c) contain any content that is protected by copyright, trademark, trade secret, right of publicity or other proprietary right, without the express prior written consent of the owner of such right; (d) contain any personal information about any individual other than you; (e) depict any individual other than you, unless you have received the written permission of such individual (or of his/her parent or legal guardian in the event that he/she is a minor); (f) contain any confidential information, or any material, non-public information about any company; or (g) contain any virus, worm, Trojan Horse, Easter Egg, time bomb, spyware or other computer code, file or program that is harmful or invasive or that may or is intended to damage or hijack the operation of, or to monitor the use of, any website, hardware, software or network. Sponsor reserves the right, in its sole and absolute discretion, to refuse to accept any Entry for any reason. Selection of Potential Winners. On or about each of July, 23, 26, and 29, Liverpool Football Club will select the one (1) entry on each day (for a total of three (3) entries) that they believe to be the most creative reflection of “We are LFC @ U.S.” Odds of winning depend on the number of eligible entries received. Potential winners will be notified by Twitter or Instagram. If a potential winner cannot be contacted within two (2) days of the first attempt to contact him/her, Liverpool Football Club will select an alternate potential winner in his/her place. Requirements of Potential Winners. Except where prohibited, each potential winner must complete and return an affidavit of eligibility and liability/publicity release (the “Affidavit/Release”) within seven (7) days of being notified. If a potential winner (or, if he or she is a minor, his or her parent or legal guardian) fails to sign and return the Affidavit/Release within the required time period, if notification or prize is returned as undeliverable, or if Sponsor determines in its sole discretion that the potential winner is ineligible, an alternate entrant will be selected in his/her place. Unless prohibited by law, acceptance of a prize constitutes permission for Sponsor to use winner’s name, picture, likeness, address (city and state), entry, and biographical information for advertising and publicity purposes, worldwide, without further compensation. Prizes. Three (3) winners will each receive a Liverpool Football Club team jersey, autographed by a current team member selected in Sponsor’s discretion. Approximate retail value: $100 each. Total approximate retail value of all prizes: $300. All federal, state, and local taxes and all other expenses not specifically mentioned herein are the responsibility solely of winner. Prizes are non-transferable and non-assignable. No cash or other substitution permitted, except that Sponsor reserves the right to substitute a prize with another prize of comparable or greater value at Sponsor’s sole discretion. Sponsor’s Rights to Entries. By entering the Promotion, you grant to Sponsor a non-exclusive, worldwide, royalty-free, perpetual, irrevocable, fully sublicensable (through multiple tiers) and transferable license, without additional consideration to you or third parties, to: (a) reproduce, distribute, perform and display (publicly or otherwise), adapt, modify, edit, translate, make available to the public, make, sell, offer to sell, import and otherwise use and exploit (and have others exercise such rights on behalf of the Sponsor, through multiple tiers) your Entry in any format or media now known or hereafter developed; (b) create derivative works from and incorporate your Entry into other works or into Sponsor’s or its designees’ products or services; (c) use your Entry for Sponsor’s advertising and promotional purposes; and (d) use your name, photograph, portrait, picture, voice, likeness, statements, and biographical information for Sponsor’s advertising and promotional purposes, whether or not in connection with your Entry, in each case for the purpose of administering and promoting the Promotion, any future Sponsor promotions, and/or Sponsor, except to the extent prohibited by applicable law. Sponsor reserves the right (but does not have the obligation) to verify at any time that all necessary rights, clearances, consents, releases and other permissions in or relating to your Entry have been validly obtained, and you agree to fully cooperate with Sponsor in any such verification inquiries. Release and Limitation of Liability. By participating in the Promotion, you agree to release, indemnify, and hold harmless Sponsor, Liverpool Football Club, Twitter, Instagram and each of their respective related companies, and each such company’s respective officers, directors, employees, and agents (collectively, the “Released Parties”) from and against any claim or cause of action arising out of or related to, directly or indirectly, in whole or in part, your participation in the Promotion, creation of your Entry, or receipt, use, or misuse of any prize, including, but not limited to: (a) claims that your Entry violates any intellectual property, publicity, or other rights; (b) claims arising from any use or other exploitation of, or failure to use or exploit, your Entry; (c) claims arising from any breach or alleged breach by you of these Official Rules; (d) claims arising from unauthorized human intervention in the Promotion; (e) claims arising from technical or printing errors; (f) claims arising from lost, late, postage-due, misdirected, or undeliverable mail or email; (g) claims arising from errors in the administration of the Promotion or the processing of Entries; (h) claims arising from injury, death, or damage to persons or property; or (i) claims based on defamation, infringement of intellectual property rights, or on the rights of publicity or privacy. You further agree that in any cause of action, the Released Parties’ liability will be limited to the actual out-of-pocket costs associated with participating in the Promotion, and in no event shall the Released Parties be liable for attorneys’ YOU WAIVE ANY RIGHTS OR CLAIMS TO INDIRECT, SPECIAL, PUNITIVE, INCIDENTAL, OR CONSEQUENTIAL DAMAGES, WHETHER FORESEEABLE OR NOT AND WHETHER BASED ON NEGLIGENCE OR OTHERWISE. SOME JURISDICTIONS DO NOT ALLOW THE LIMITATIONS OR EXCLUSIONS OF LIABILITY SO THE ABOVE MAY NOT APPLY TO ALL ENTRANTS. Disputes. To the extent permitted by applicable law, by entering the Promotion, you agree that any and all disputes, claims, and causes of action arising out of the Promotion or any prize awarded shall be resolved individually, without resort to any form of class action, and exclusively by the appropriate federal or state court located in New York, New York. All issues and questions concerning these Official Rules, your rights and obligations, or Sponsor’s rights and obligations shall be governed by the laws of the State of New York, without giving effect to any choice of law or conflict of law rules. General Conditions. In the event that the operation, security, or administration of the Promotion is impaired in any way for any reason, Sponsor may, in its sole discretion, suspend, modify, and/or cancel the Promotion and, if feasible, select potential winners from among eligible, salvageable, and non-suspect entries received on or before the termination date. Inclusion in such drawing shall be each entrant’s sole and exclusive remedy under such circumstances. Sponsor reserves the right in its sole discretion to disqualify any individual it finds to be tampering with the operation of the Promotion or to be acting in violation of these Official Rules or in a disruptive manner. Any attempt by any person to undermine the operation of the Promotion may be a violation of criminal and civil law, and, should such an attempt be made, Sponsor reserves the right to seek damages from any such person to the fullest extent permitted by law. Sponsor’s failure to enforce any term of these Official Rules shall not constitute a waiver of that or any other provision. In the event of a dispute as to any entry, the authorized account holder of the Twitter and/or Instagram account used to enter will be deemed to be the entrant. A potential winner may be required to show proof of being the authorized account holder. In the event that an entry is confirmed to have been erroneously deleted, lost, or destroyed, entrant’s sole remedy shall be another entry into the Promotion. If any provision of these Official Rules is held to be invalid or unenforceable, such provision shall be struck, and the remaining provisions shall be enforced. Results. For the results, go to sc.com/en/about/lfc-competition after July 30th, 2018.